Mexico opened up their World Cup run in Natal with a 1-0 win against Cameroon thanks to a goal from Oribe Peralta. Two goals were disallowed for the Mexican side, but a lone goal was enough to take all three points while playing under pouring rain. It feels like it was only a year ago that Mexico landed in South Africa to kick off the 2010 World Cup. However, by summertime, Mexico will be in Brazil for the 2014 World Cup. After a shaky 2013, Mexico needs to really shake off the dust and understand the worst is behind them. With that said, here are the major question marks and positives heading into 2014 for El Tri. Question Mark I: Will the Euro’s finally gel? One of the most haunting aspects of the 2013 year was the total drop-off in chemistry with the Euro’s and domestic players. In 2011-12, the team had some hiccups, but for the most part did the job. There was little doubt with who lead the team, but as soon as 2013 arrived, things went haywire. The chemistry was way off, communication lacked, and Mexico never got a hold of the Hex. Even when the team needed the big name players to step up…it was usually the domestic players who put the team on their back. Now that Mexico has new direction, we will have to wait and see if they can once and for all find that form which helped claimed silverware in 2011-12. Miguel Herrera took a full Liga MX team to play New Zealand for the 2014 Intercontinental playoff. The choice was risky, but in the end was successful. Mexico’s domestic players didn’t crumble under pressure, and for once looked like a Mexico who was having fun. Now, the bigger stars for Mexico who were not called will have to step their game up in 2014. Because Mexico booked its 2014 ticket without them. Question Mark II: Oribe+Raúl? Oribe+Chicharito? One striker? Mexico scored a minimum of 4 goals in each game in November. There were some bumps with the defense, but scoring was not one of them. Raúl Jiménez and Peralta were a successful pair in the new-look Mexico. Which begs the question…what will happen when Chicharito returns? If Hernández catches fire, does Raúl sit? 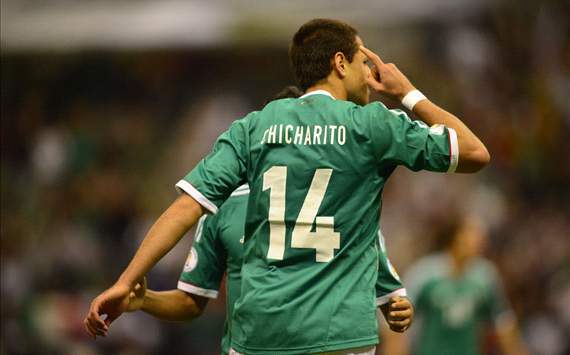 Or does Chicharito come off the bench as a super-sub? All these factors can be good problems to have…but also could be a headache if not sorted out. Throughout the Hex and Confederations Cup, Mexico’s midfield was a mess. Several rotations made its way around, but nothing was successful. However, Herrera adding guys like Montes and Peña to the starting XI became a blessing. 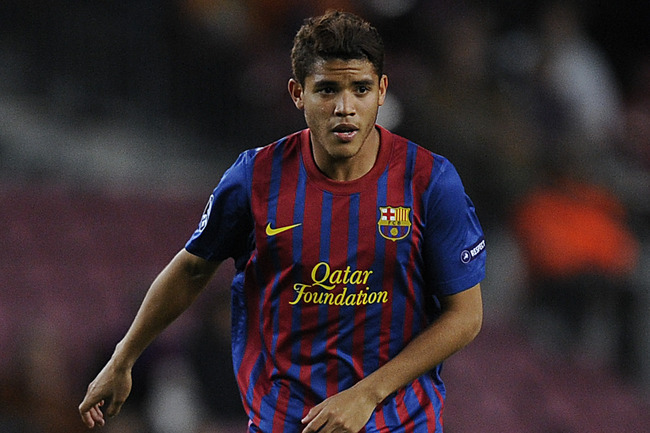 They continued their roll from Club to Country, and the youth aspect has been a sight for sore eyes. Gone are the days when Mexico called up “vets” in hopes that they would carry form which they once had in World Cup pasts. Question Mark III: Will the Vela saga end? From a spectators point of view, there is no reason why Vela has not put on La Verde since 2011. Yet, we do not know what really is going on between Carlos and the FMF. Giovani has backed Vela’s choice to decline the call-ups, and blasted the federation. He would also then say that his return to El Tri would be welcomed. Herrera also added that he would search out Vela if he stays manager for 2014. All are positive signs, but there is still no guarantee that Vela is going to be headed to Brazil 2014. The drama which started early in 2012 could very well be around by June 2014…which helps no one. It might not seem like there is a lot of time till the 2014 World Cup, but there are many warmups ahead. This is a perfect time to throw some young blood onto the proving ground. When spots are on the line for the World Cup, players will do everything they can to get noticed. We could see the likes of Alan Pulido, Ulises Dávila, Tecatito Corona in 2014. We saw new guys like Escoboza step up when the time was right, so there is no reason to give some others a major shot to impress. This in turn creates passion, motivation, and thins out who really deserves to be in Brazil. Mexico has a long road ahead until June, but there is no time to waste. El Tri has plenty of problems to sort out, but also has hope while looking forward to the World Cup. When the odds were against them, Mexico still survived. A solid run in Brazil will wash away the sins from 2013. Mexico opens up the road to Brazil on January 29, 2014 against the Korea Republic (San Antonio). The Mexican national team is busy in preparation for the upcoming game against Brazil on Wednesday. Read the latest news that surrounds the team. The FMF released a list of Europe based players called up for Mexico’s first hexagonal match against Jamaica on February 6. The match will be the first in the series of World Cup qualification and will be played at the Azteca Stadium. Hector Herrera and Chaton Enriquez are rumored to have started practicing with their clubs. Fortunately, Giovani Dos Santos will be returning to play soon as well. Officially, Mexico will not play in Estadio Azteca, but in Estadio Corona for their October WCQ against El Salvador. 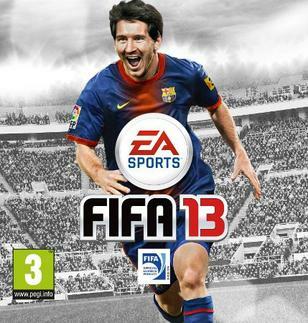 Unfortunately, for FIFA fans, no Mexican will grace the cover for FIFA 13. With his goal against Costa Rica, Chicharito is now at 26 in total for Mexico. He is just 20 goals shy of Jared Borgetti’s record. Recent FIFA rankings dropped Mexico to 21. However, Elo raknings bumped Mexico up to #9 in the world (previously 11). Soccer Power Index also ranks Mexico in the Top-10. It is easy to admit…I’ am a huge FIFA fan. I even wear my El Tri jersey to the store to get the holy grail of football games on the release day. With exception of the player ratings (thankfully there should be a player ratings editor), this could be one of the best FIFA games to date. There will be a ton of new features, which I cannot wait for. Yet, as an El Tri fan, we should get one of our players on the cover (for North America). So fellow FIFA junkies…who do you think should be our FIFA cover representative? FIFA 13 will be in stores 9/25/2012.